Happy Magical Monday, friends! 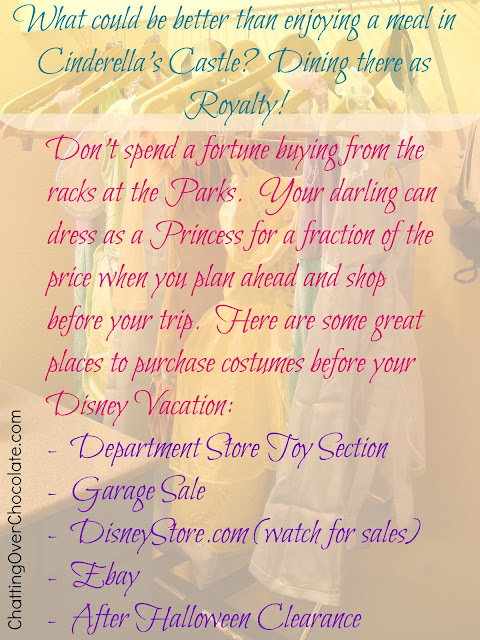 I wrote this post as a guest post for Carrie at My Favorite Finds earlier this summer. I thought incase any of my lovely readers missed it there, I'd share it here today! Walt Disney World's official Pinterest page pinned it and added "very helpful selection of tips!" to the pin's description (which made my year)! I hope you'll agree! 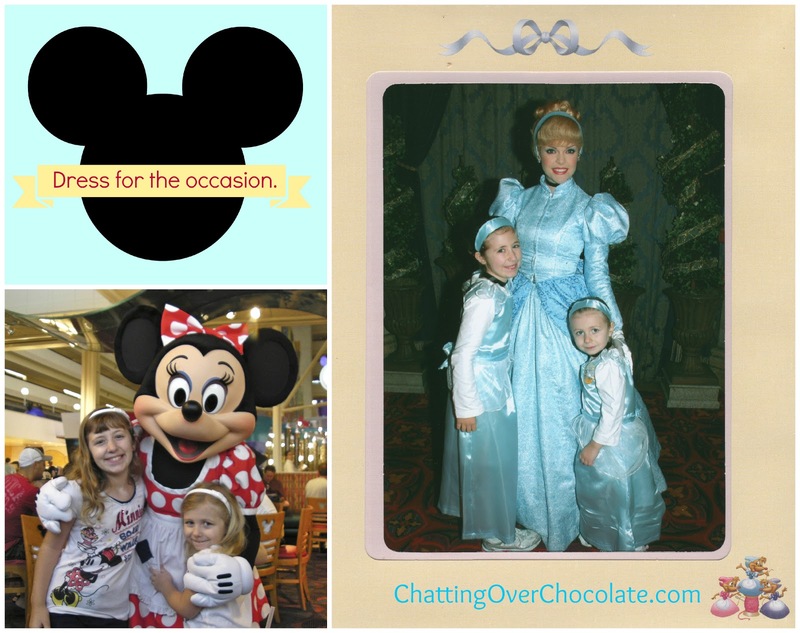 During our trips to Walt Disney World my family enjoys time with Mickey and the rest of the fab five, as well as rubbing elbows with Disney royalty, at character meals offered throughout WDW property. I'm delighted to have this opportunity to share some tips I've picked up along the way in hopes of helping you make the most of these unique dining experiences. These 10 simple tips cover everything from the planning stage of choosing the perfect meal for your family, up to capturing the magical memories as they unfold. Let the magic begin! 1. 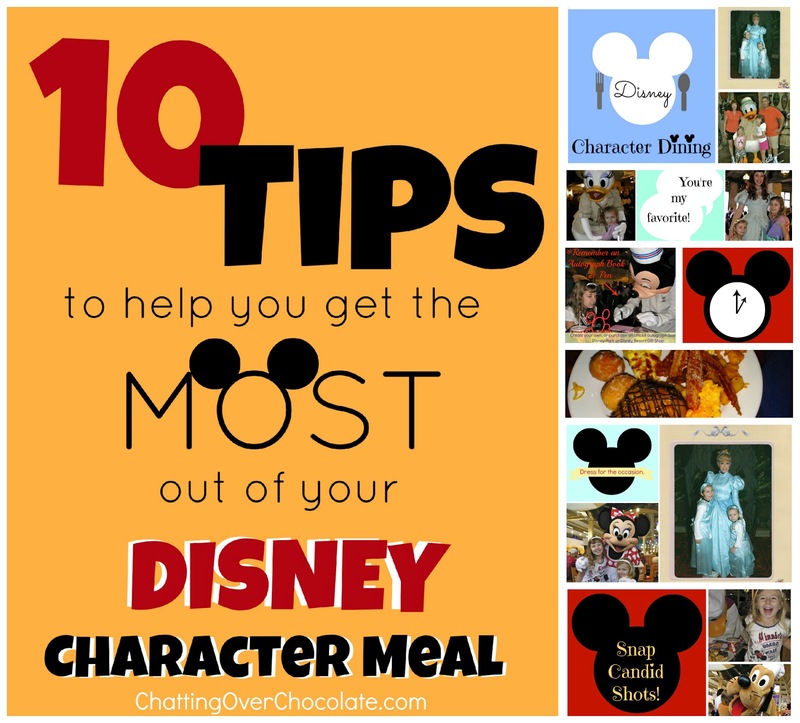 Know your options and choose the character meal your family will enjoy most. Disney offers a wide variety of character meals throughout their Parks and resorts. The first thing you need to do is choose a meal that best suits your family. Are there certain characters you'd like to meet? Is there a particular meal/food your family would most enjoy? There's much to consider when narrowing down your options. I recently wrote a blog post dedicated to this topic. I hope you'll find it to be helpful! Once you've decided where you'd like to eat and meet the Disney characters, I recommended making reservations A.S.A.P. (180 days prior to your trip). You can do so online or by calling (407) WDW-DINE. 2. Make it two meals for the price of one! 3. Dress for the experience, the photos, and the fun of it! If you have a little prince in your family, or your princess feels like dining in more casual attire, a tee boasting their favorite character is a fantastic choice! While Mickey and Minnie can't actually blush, they will show they're flattered when your child points out that they are sporting their likeness! 4. 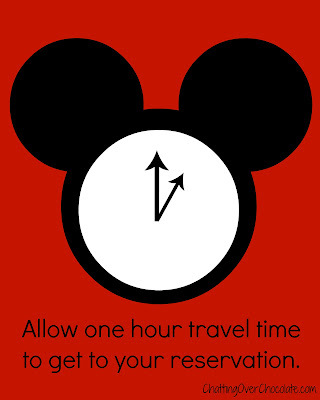 Allow ample travel time. Nothing gets a fun experience off to a less than stellar start than rushing to get somewhere. 5. 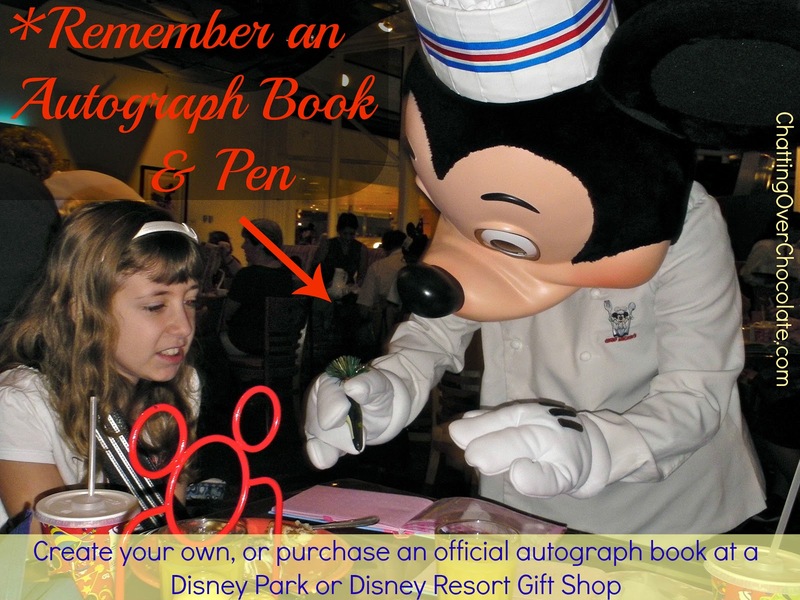 Don't forget the autograph book! You're going to meet some major (Disney) celebrities! 7. Bring along toys that spark playful exchanges. Does your child have a plush version of the characters you'll be meeting? Feel free to toss it in your bag and bring it along. Here's an example of the fun that Winnie the Pooh had with our Pooh and Tigger plushes during our last visit to The Crystal Palace. 8. Give your child(ren) the best seat in the house at the table. 9. "You're my FAVORITE!" 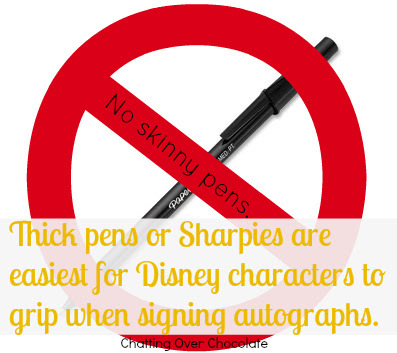 If your child is meeting his/her favorite Disney character be sure they say so. Whenever our children have shared their admiration for their favorite princesses and members of the Fab Five, they've received extra love and hugs, making the moment all the more memorable! 10. Get snap happy! Some of the most priceless photos you can take are candid snapshots. 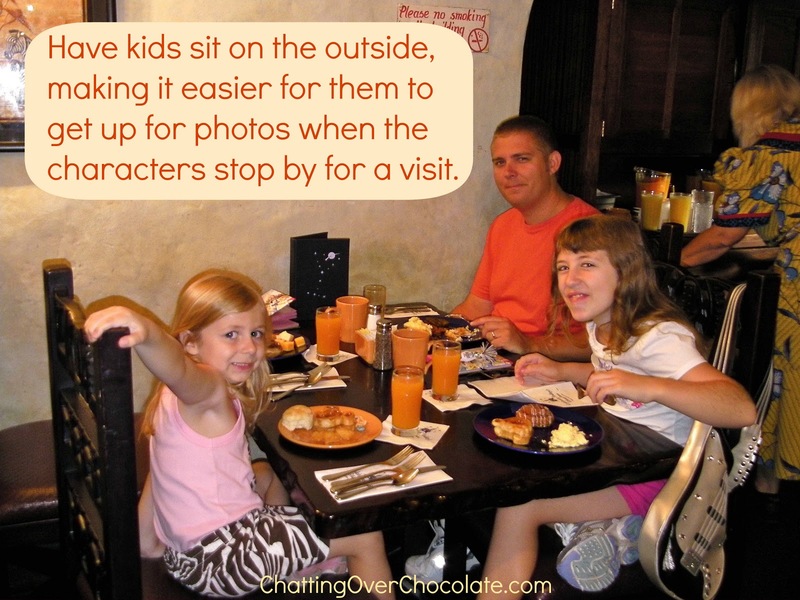 Don't wait until the characters and your children are standing still side by side saying, "cheese", to snap a pic. Capture the wonder in their eyes and excitement of the moment by photographing the experience as a whole. Unposed photos make magical keepsakes you'll treasure for a lifetime! Hope to "C" you real soon! "Y"? ...because we like you! While you're here, don't forget to visit my DISNEY! 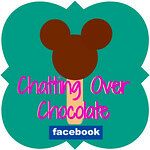 page for magical crafts, recipes, and Disney goodness galore! 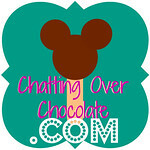 great post :) We're having a character dinner at O'hana next month and I am really excited. Great post!! 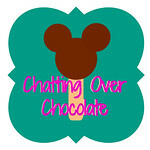 We're planning our Disney trip with a one and two year old and we had an amazing trip last year by just doing a character dinner and other free activities - it was so fun!! You have the best tips! I tried to find a photo mat so the kiddos could have the characters autographs surround a picture of them, but didn't get it together in time - I'll be ready this year! I have a tip to share too! We got our preferred dining time checking daily, even hourly, right before our trip. 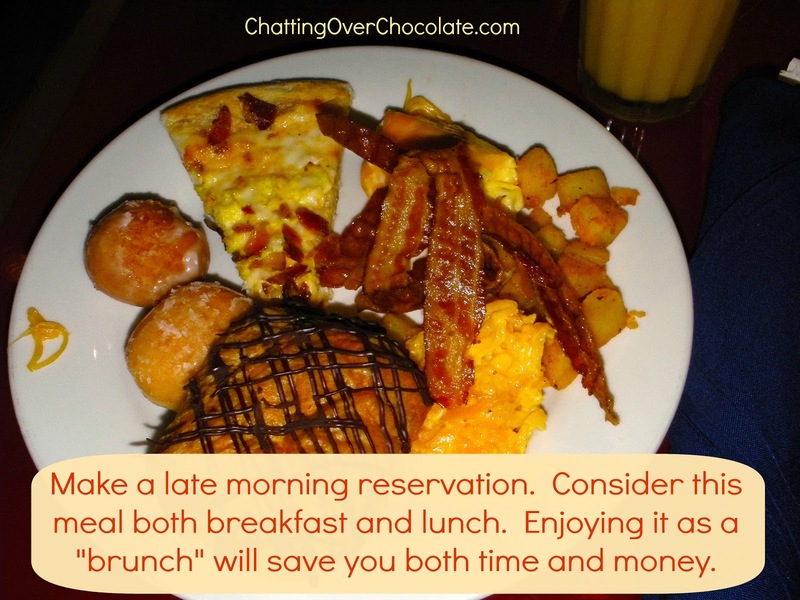 A lot of people make reservations and very early in advance and change them close to the date. I think we went through three different times and just kept getting closer to our most preferred. 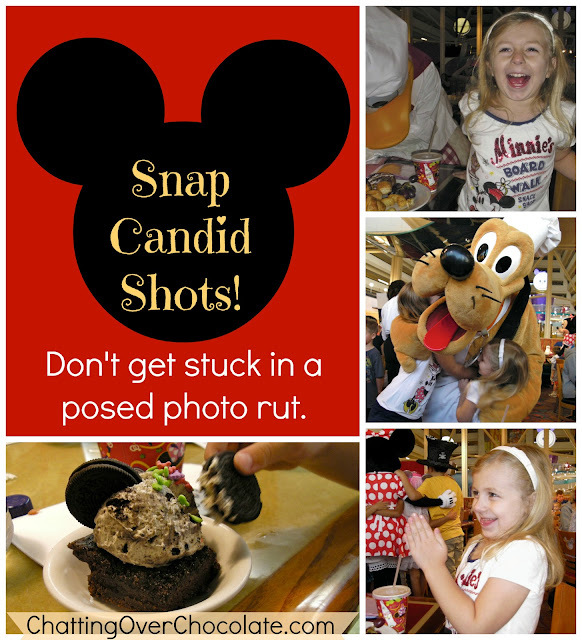 These are great tricks for a Disney newbie, Brenda! We have yet to take a family Disney trip but I'll referring back to your list when we do. Thanks for compiling such useful tips! These are great suggestions. 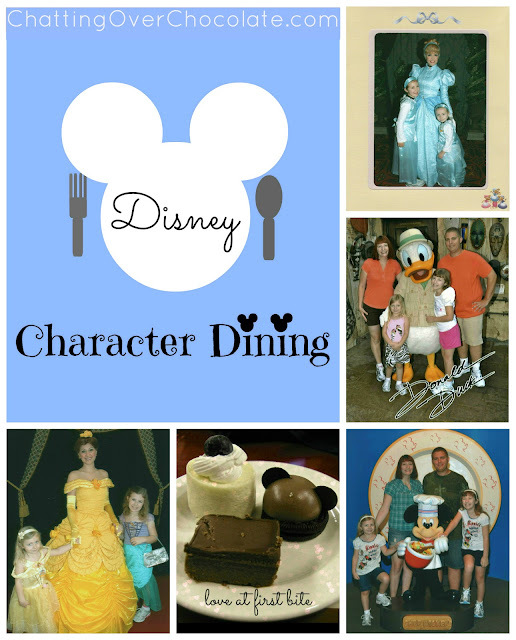 I have one kiddo who has always disliked character dining, and I'm hoping my little guy will be different. 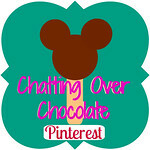 I've pinned this to my Disney board!